This superb and spacious bungalow is being offered with no chain and is located in a central position with all the amenities you will need close by. Having been well maintained the property is in good order throughout and will enable the next owner to move straight in and enjoy their new home immedia.The front door leads through to the spacious entrance hall which offers two large storage cupboards. Overlooking the front is is a fabulous lounge/dining room which is a great size and is more than big enough to house your soft furnishings and a dining table too. An opening from here leads through to the well planned, modern kitchen. Here you will find a multitude of storage options, various work surfaces and quality built in appliances too. A door from here also gives handy access to the side.Three good size bedrooms are offered. The master bedroom overlooks the rear and boasts its own shower room/wc and fitted wardrobes too. Bedroom two shares the same aspect and overlooks the rear garden whilst bedroom three overlooks the side. Completing the interior is the fantastic wet room which comprises of modern sanitary ware, an overhead shower rose and a heated towel rail, all of which are complimented by neutral tiling.Outside space will not disappoint either, the rear garden is private and secure and incorporates a paved patio, lawn and a timber garden shed. The front garden is formal in nature with an area of lawn and shrub beds, all of which are surrounded by a low level wall and flanked by a long private drive. Lastly parking options abound, as mentioned before there is a long private drive offering ample parking which in turn leads to the larger than average garage. 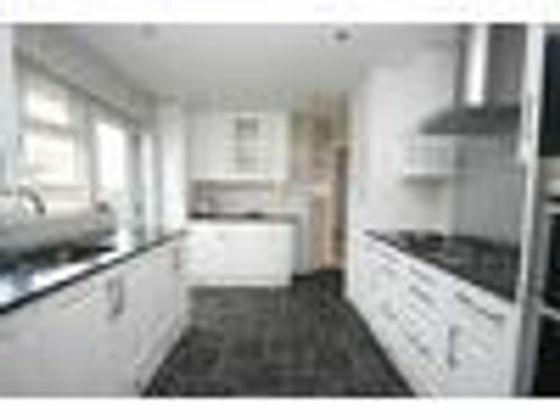 Property advert Ref 4198899 - Is a property advert for marketing purposes only, the information has been supplied by the owner, estate agent or property portal and The House Shop makes no warranty as to the accuracy or completeness of the information. Furthermore we have no control over the adverts content. This property advertisement does not constitute property particulars. Please contact the advertiser to obtain any information regarding The Energy Performance Certificate regarding homes in England and Wales or Home Report for residential property in Scotland.